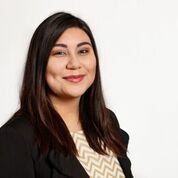 Meet Legal Assistant Jennifer Rojas! - Leigh Hilton P.L.L.C. We’d like to introduce you to Jennifer Rojas, one of our new legal assistants! She was born and raised in Dallas, and has a professional background in real estate and architectural engineering. We knew Jennifer would be a great fit for the team once we heard about her big family. She has two brothers and two sisters, so she knows all about family dynamics and how to find a solution that suits everyone! What’s a hobby or interest you can’t get enough of? I enjoy reading and writing Urban Fantasy (fantasy-fiction in an urban setting). I started writing a short story, but I’m nowhere near finished! It’s my way of expressing my feelings and experiences through writing. Clive Barker. He truly knows how to paint a world in the most unimaginable light. His word-building is clever, and I feel he’s underappreciated for the work he does. What movie have you seen more than any other? The Breakfast Club. I have always loved 80s movies. This one is a classic and who doesn’t love the iconic John Bender? I’m very passionate about music. I love going to concerts and festivals—especially Indie Rock. My dad. He’s my best friend. I go to him when I need advice and I know he will help me no matter what. He taught me the value of family. I learned that family is the most important thing worth living for. That’s something I hold high in regard and keep close to my heart. If I weren’t a legal assistant, I’d be ________. In the Navy. I truly respect those who serve. What’s your go-to fast food meal? Wendy’s 4 for $4. It’s the best deal!